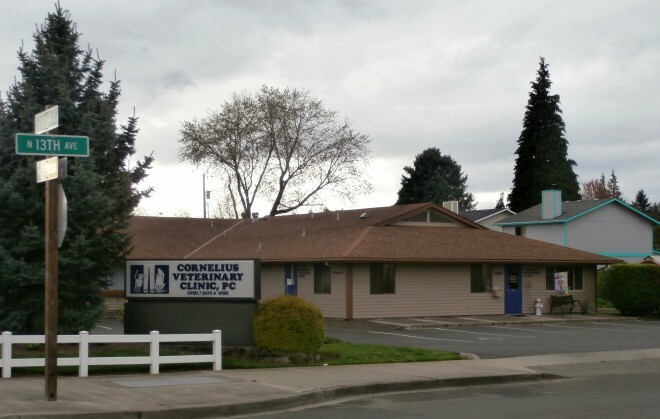 We are a small animal practice located in the heart of Cornelius, Oregon. Originally opened by Dr. Bob Bullard in 1975, the clinic began as a mixed animal practice (both small and large animals). After several years, Dr. Bullard decided to focus his efforts on small animals to better serve his clients. Our clinic was founded on providing honest, high-quality medicine in a friendly environment, and we continue to strive to offer this to every patient that we see. Most commonly, our clinic treats dogs and cats. We do occasionally see rabbits, ferrets, and other small mammals. Please call ahead, as some doctors have a special interest in small mammals.